JOLLY AWESOME is a publishing company specialising in contemporary, humour-led stationery, greeting cards and giftware. Paperboy London® is a publishing company specialising in contemporary and design-led luxe paper goods and stationery. As a Freelance Graphic Designer he's been commissioned to direct artwork for album, single and promotional projects for hip hop labels including Bad Boy Records, Shady Aftermath and legendary artists like Outkast, Rick Ross and Diddy. As an Illustrator Matt has proudly exhibited at Sir Quentin Blake’s House of Illustration and has had a year long residency and solo exhibition at the Galerie Squares in Paris. He has been commissioned to direct creative campaigns by brands including Glaceau Vitamin Water, Harper Collins children’s books and has collaborated with fashion brands like Converse. Founded in Summer 2014 - JOLLY AWESOME publishes contemporary humour-led greetings cards, stationery and giftware. 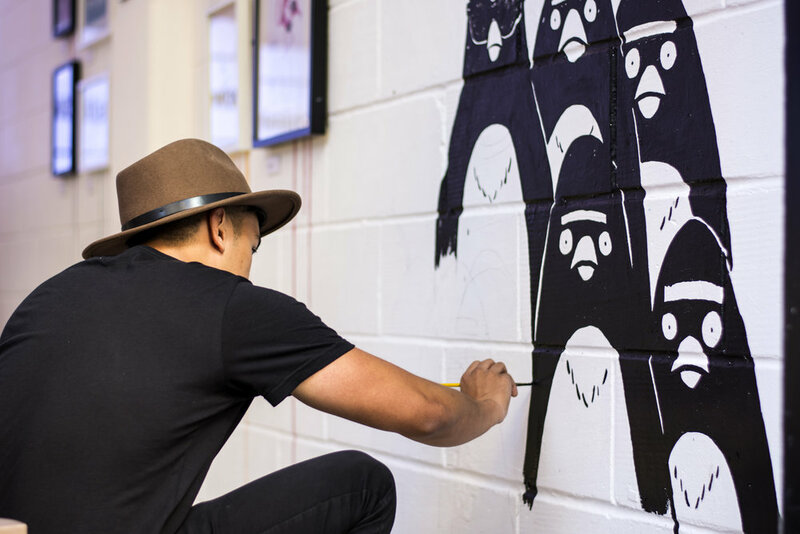 Matt has illustrated and created all 400+ product designs, creating a world full of funny animal characters, showcasing Matt's range of illustration styles and sense of humour that the brand is known and loved for. JOLLY AWESOME has nationwide distribution in the UK, USA, Canada, Australia, Finland and Ireland with footprints in mainland Europe and the Middle East. Stockists include Paperchase, Urban Outfitters, ASOS, Scribbler, Papyrus, Papersource, Oliver Bonas to name a few. Founded in 2017, Paperboy London® is a London-based design house. The collections of luxe paper goods are inspired by Matt's passions and experiences. Defined by an obsessive attention to detail and curious nature, Matt works closely with all-British printers, suppliers and heritage paper merchants to understand century old printing and finishing techniques along with the limits and possibilities of the materials we use. With an emphasise on mixing new, experimental substrates with long standing processes, Paperboy London takes a modern approach to traditional manufacturing techniques and sensibilities. A Jolly Awesome Ltd Company. Registered in England and Wales. No. 09094182. VAT No.189898704. Paperboy London® is a registered trademark of Jolly Awesome Ltd.